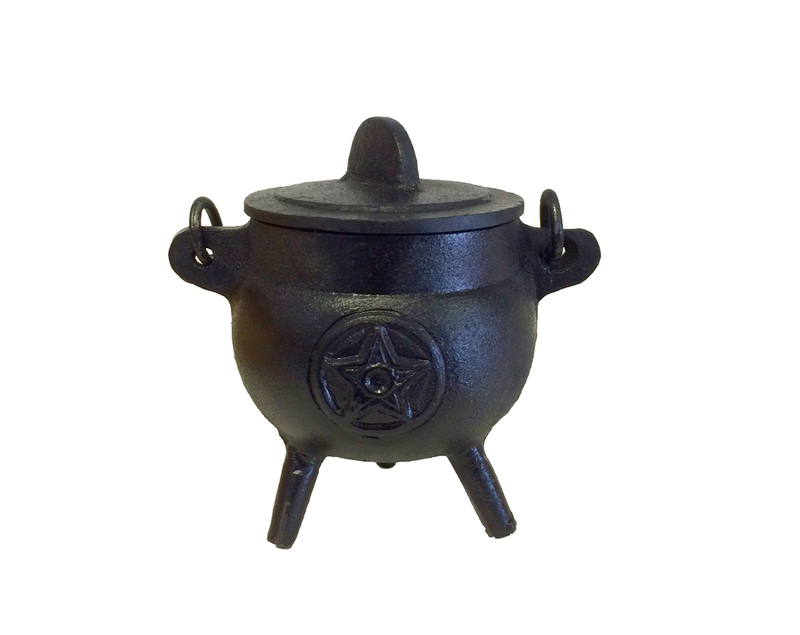 Not just for witches contrary to popular belief. 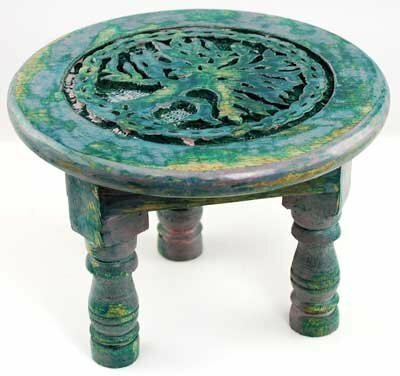 Anyone can have an altar and it's a beautiful peice to add to your meditation room to place those special rocks, a candle or offering to the divine and universe. 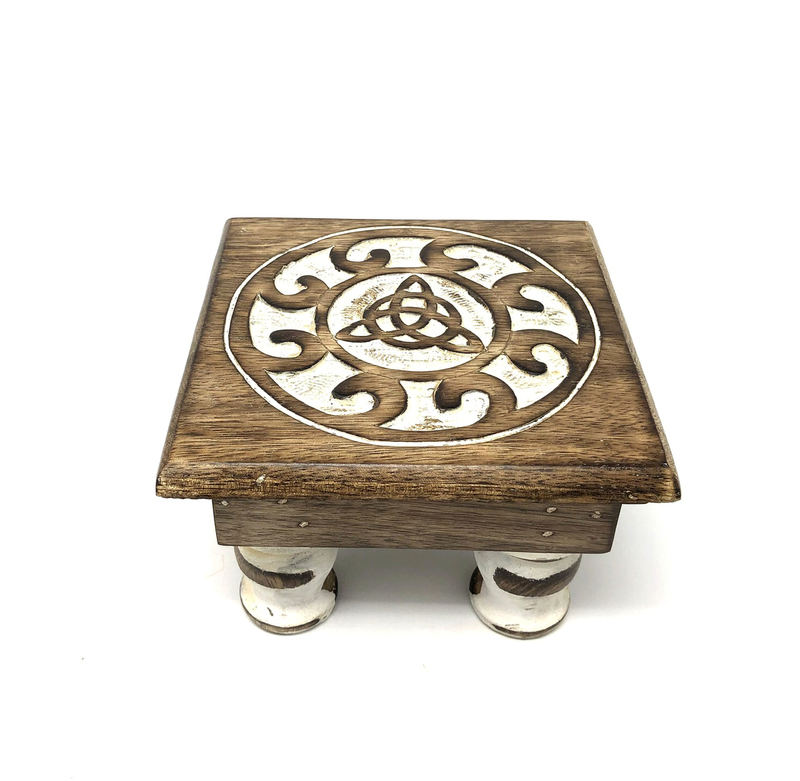 Placing your items on the table as the intention of those items to merge energies with you when you meditate. And they are so pretty! 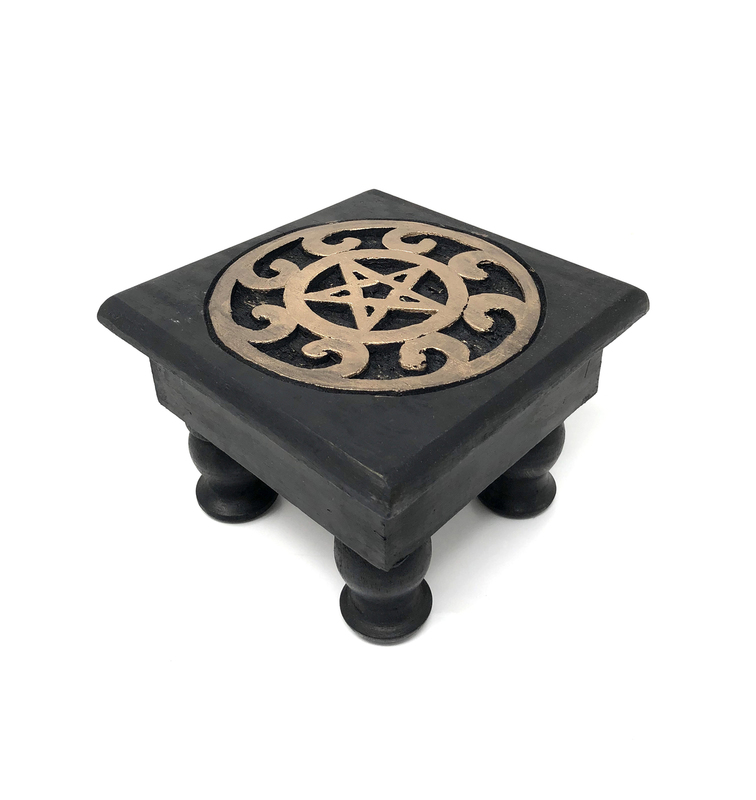 The pentacle (a star with 5 points) is a symbol of protection. Most religions on Earth attributes special powers to number 5, which represents the human body, 5 senses, 5 elements, 5 pillars etc. There are also 5 virtues, Love, Wisdom, Truth, Kindness, Justice. 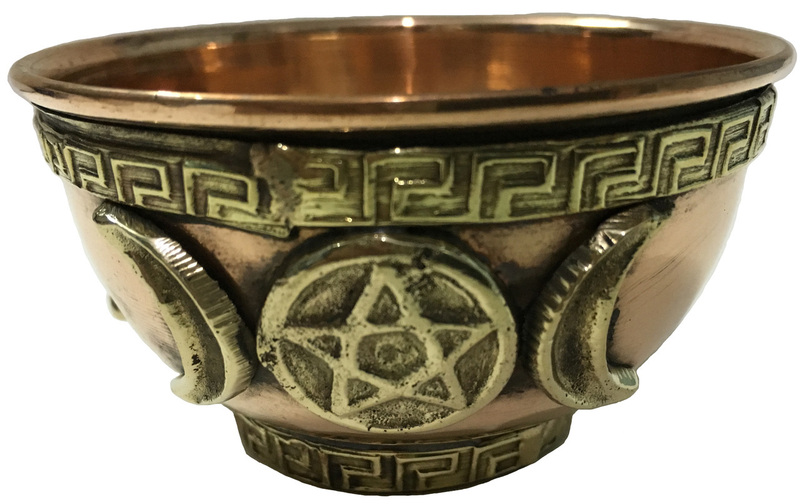 It is in the efforts that we make to manifest these 5 virtues that the Divine protection usually attributed to the pentacle becomes effective. 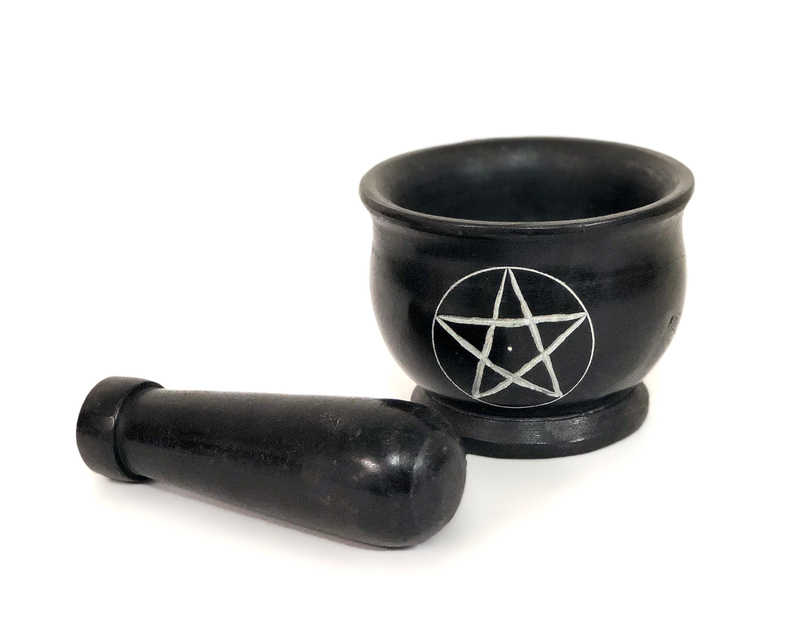 Mortar & Pestles is a very precious tool for crushing and grounding either food, herbs, or seeds and other varieties of herbal and mystical medicine. 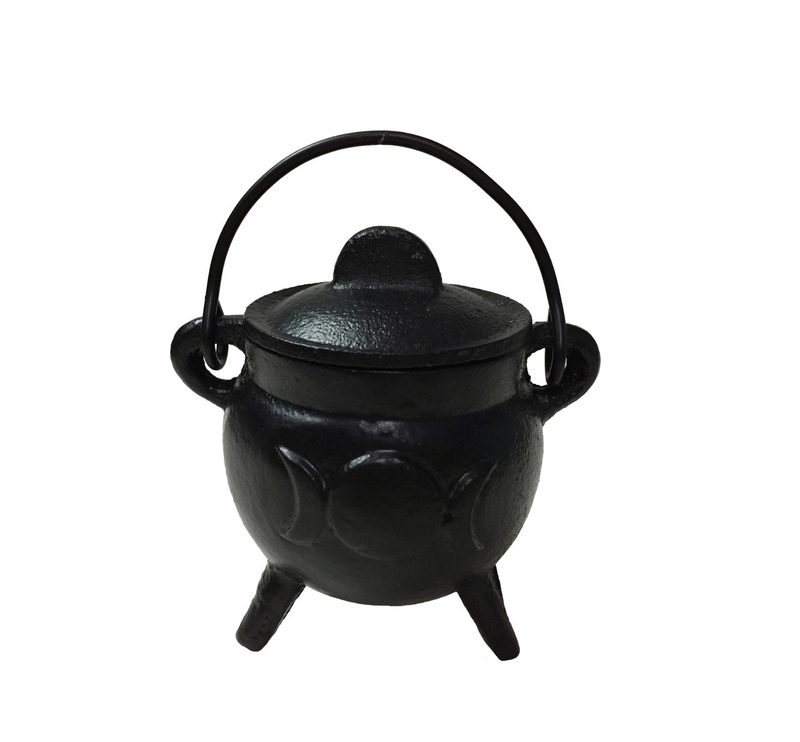 Ideal to burn your granular incense. 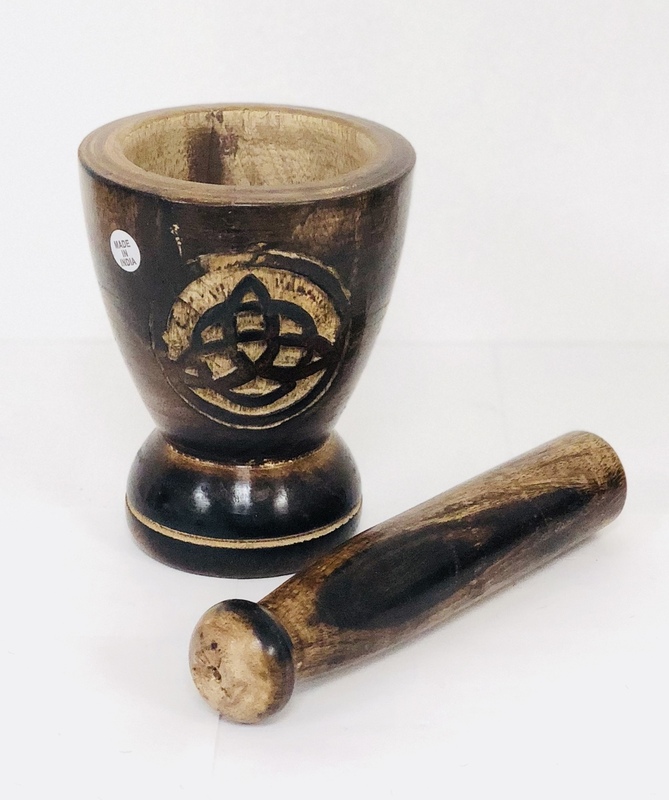 Use with sand and a tablet of Charcoal on which you sprinkle your favorite resin incense when the charcoal is incandescent. Sit back, relax, meditate and enjoy! 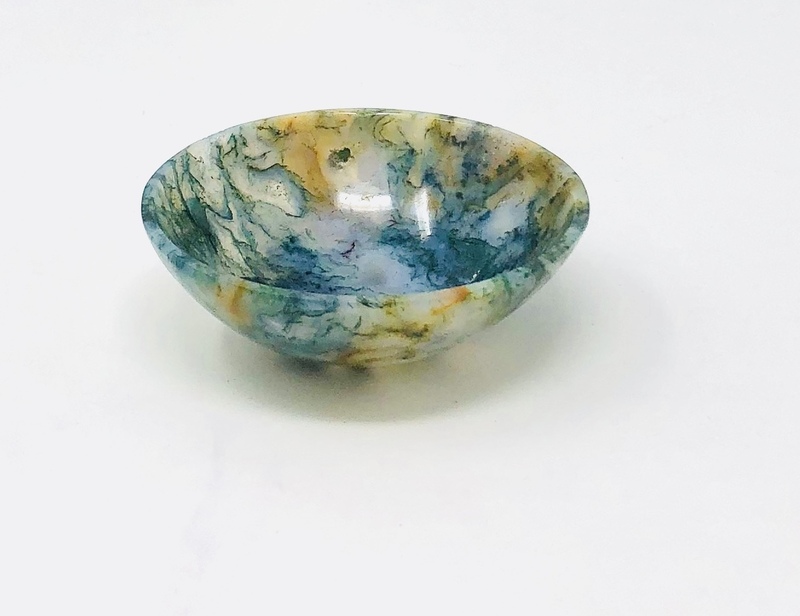 You can find 'florida water' perfect for these bowls in our store as well! 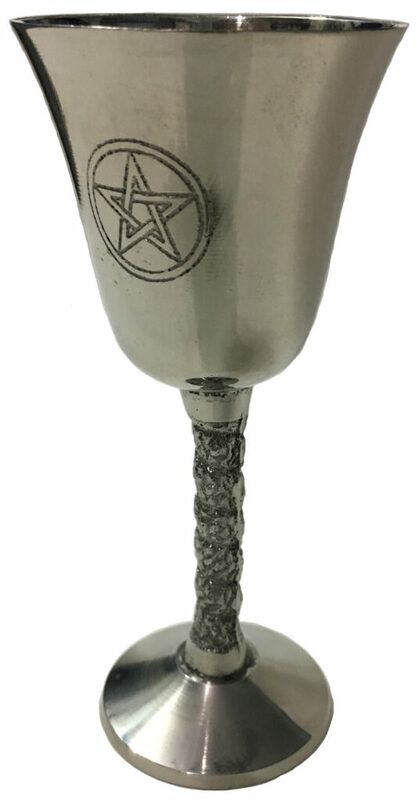 This chalice has the the pentacle star symbol made with Brass and Silver Finish is a beautiful addition to any alter. 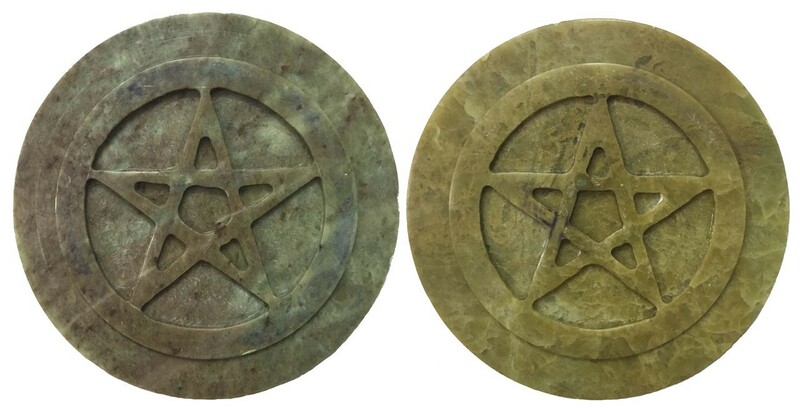 Made with heavy soapstone, palm size and has the pentacle symbol on each one. 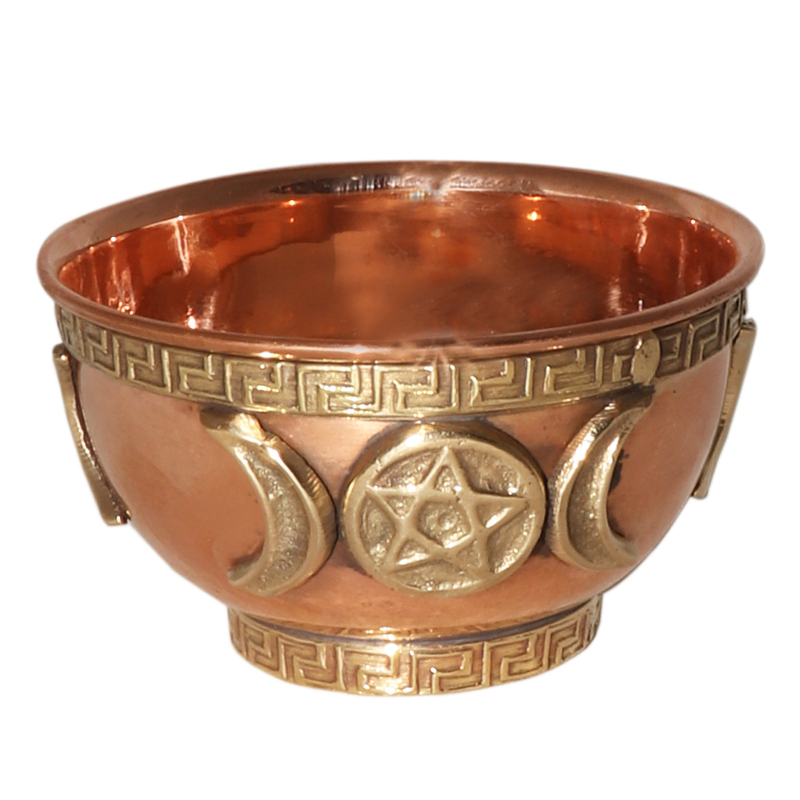 Great for the alter table or even to add in your pocket or purse to carry the healing energy with you.